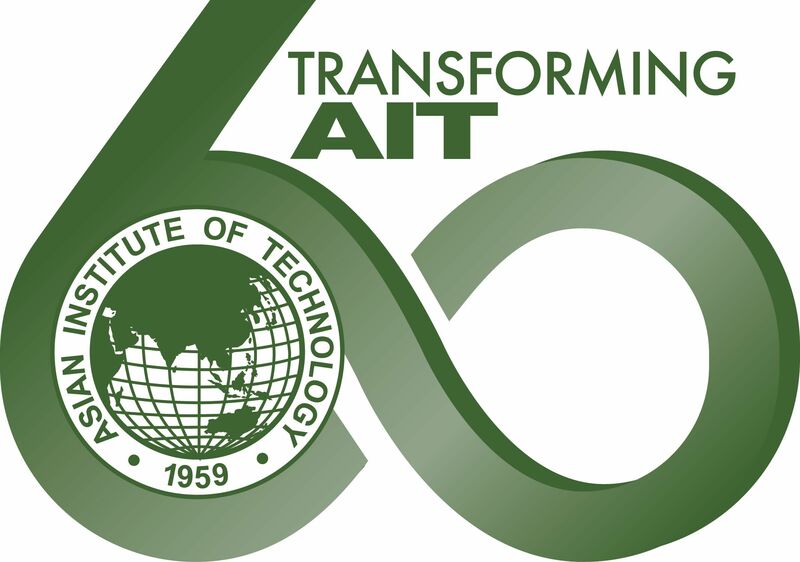 This year is the 60th Anniversary of the founding of the Asian Institute of Technology (AIT). In order to celebrate our past sixty years of illustrious history of contribution to capacity building research and academics, a number of actions and events are taking place all through the year. This celebration will involve students and staff and faculty and alums presenting the best of AIT in their own way, and these year-long events are designed not only to remember our legacy but to forecast the changes taking place at AIT as it enters the next 60 years. This is why the slogan for our 60th Anniversary is TRANSFORMING AIT. And a logo, designed by our internal graphic designer, gives an “action-oriented” dynamic feeling to symbolize the anniversary. This logo will be on our AIT literature and significant programs during 2019. AIT’s 60th anniversary has already been launched with the publication of two brochures: An AIT Public Relations Brochure and an AIT 60th Anniversary Donation Brochure. Both sport the fresh new look of AIT, with the second describing the needs of AIT in terms of fundraising for the work of transforming AIT. The first significant happening of the 60th Anniversary is the April 1 arrival of the new Vice President of Academic Affairs Professor Deepak Sharma and the new Vice President of Knowledge Transfer Dr. Naveed Anwar. On May 1, the new Vice President of Administration Mr. Russell Rein reports to duty. On July 1, the new Dean of School of Engineering and Technology Professor Dieter Trau arrives, and on August 1, the new Dean of School of Management Dr. Roger Levermore arrives. They will form the core of the new leadership team which, along with President Eden Woon, will work with our faculty, students and staff on transforming AIT to become more global, more innovative, more relevant, and more entrepreneurial, while continuing our focus on our social impact core strengths. As far as events during the anniversary year, the first significant event will be on May 17 with our 131st Graduation Ceremony. Professor Tony Chan, President of King Abdullah University of Science and Technology in the Kingdom of Saudi Arabia, will deliver the AIT 60th Anniversary Graduation speech. The next event, on June 28, will be one which draws heavily on our social impact legacy, a large scale Social Business Day hosted by Nobel Laureate Professor Muhammad Yunus and organized by the Yunus Center AIT and AIT Extension. In August 14-19, AIT will organize “100 Innovations & Entrepreneurs” to bring together innovations and entrepreneurs from all sectors including the industry, academics, development agencies and NGOs to a large event in Bangkok, and during which time we will announce the official establishment of the AIT Entrepreneurship Center. Later this year, there will tentatively be the second Thanat Khoman Lecture, to commemorate a key founder of AIT 60 years ago. In October come three days of celebration of the 60th Anniversary, with the main ceremony presided over on the morning of October 24 by HRH Princess Sirindhorn, herself a graduate of a remote sensing certificate course at AIT. On that afternoon, there will be 10-15 presidents from prestigious universities around the globe to speak at a special Presidents Forum attended by many distinguished guests, on the main theme of “Social Impact with Innovation”—the goal and mission of AIT—from their own university’s standpoint. 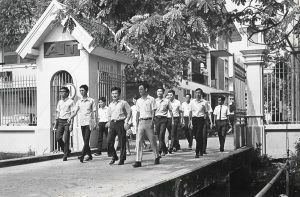 During those celebratory days, many alumni will come back to AIT from all over the world to celebrate together, at a Gala Banquet on October 23 and at an Open House Day on October 25, where former President Professor Worsak will speak on his recollection of the history of AIT. There will also be exhibits by our 25 AIT Alumni Chapters worldwide of their members’ achievements. Finally, in December, there will be a joint Japan-AIT Space Technology Symposium to celebrate the 50 years of strong support by Japan for AIT. In between these above highlighted events, there will be other events organized throughout the year with the 60th Anniversary imprimatur. A 60th Anniversary website is also being created to house information on all these activities. While these events are happening, the hard work of transforming AIT has already begun, with more and more universities in Asia and elsewhere signing up as partners, giving more chances for AIT students and faculty to exchange and collaborate across the seas. More industries have agreed to cooperate with AIT, offering students internship and employment opportunities, and giving faculty more research projects. The revamping of our curriculum and our research emphasis will gradually take place, as well as refurbishing our facilities. Fundraising is going on in a concerted effort to seek the resources needed to transform AIT. AIT is extremely grateful that HRH Princess Sirindhorn has very kindly agreed to be the Honorary Patron of our 60th Anniversary Fundraising campaign. 60th Anniversary is a significant milestone, and we hope you will join us at AIT’s 60th Anniversary activities. AIT is excited about its next 60 years, while being deeply appreciative to those who were such an important part of AIT in the past 60 years.